As a leader and community figure, Pastor Vardry A. Freeman identifies with the importance of living the life that he preaches. He presents himself as a servant of Christ who is not ashamed to preach and teach the Word of God. Pastor Vardry A. Freeman was born in Greenville, South Carolina. Being educated in the Greenville County School System, he is a proud 1985 graduate of Mauldin High School. Pastor Freeman received his license to preach the gospel in 1991 and was ordained in 2000. Pastor Freeman is married to the former Loretta Harper and to their union they have a son. He also has a beautiful daughter and 3 wonderful grandchildren. Pastor Freeman holds an doctorate in Ministry with a major in Theology as well as a Master of Divinity from Christian Bible College and Seminary. He has a diploma in Theology from American Bible School of Theology; and a diploma in Biblical Studies from Institution of Biblical Studies. He obtained a Bachelor of Arts degree in Religious Education from Christian Bible College and Seminary; and furthered his education at Cornell University School of Business. Pastor Freeman realizes that ministry expands beyond the edifice of the church and desires to make a difference in the lives of God’s people. 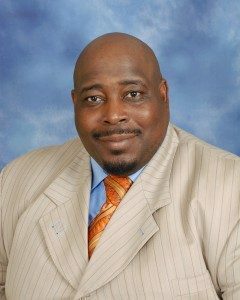 He serves as an active member of the Fellowship of Christian Athletes, Baptist Ministers’ Fellowship of Greenville and Vicinity, Masonic Lodge Prince Hall, South Carolina Education Mission and Kappa Alpha Psi Fraternity, where he serves as the Southeastern Province Chaplain. Foremost, he is the Pastor of Poplar Spring Missionary Baptist Church of Simpsonville, SC. His pastorate at Poplar Spring began in August of 2000. Under Dr. Freeman’s leadership, Poplar Spring church family has carried on the torch of standing as a place of light for a dark and dim world. Pastor Freeman’s purpose and dedication to God allows him to enrich the lives of the believers, to thirst for a closer relationship with God and help the unbeliever to know God. Pastor Freeman teaches and proclaims the gospel of Jesus Christ with authority and boldness to enhance the spiritual lives of people.